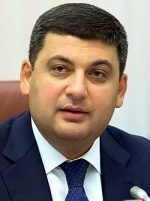 Prime Minister Volodymyr Groysman has said that the national legislation on local elections should be reviewed and if necessary, amended until 2020. He stated this when speaking at the forum dedicated to the issues of local self-government and united territorial communities, an Ukrinform correspondent reports. "We need to analyze the national legislation on local elections. Perhaps there are shortcomings that should be corrected until the next elections set for 2020. That is, to review the system, to find shortcomings, to introduce amendments so that the system be proper,” said Groysman. According to the prime minister, attention should also be focused on improving the system of coordination of powers of local authorities.